This book attempts to show how one can arrive at an abstract system which characterizes precisely natural language. This is done by taking the data of language and finding within the data such relations as can be organized into a suitable model. 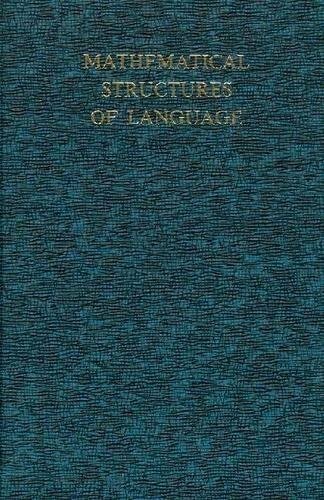 The problem here was not to find a broad mathematical system in which the structure of language could be included, but to find what relations, or rather relations among relations, which is an interpretation of the model, can do the work of natural language. 1. 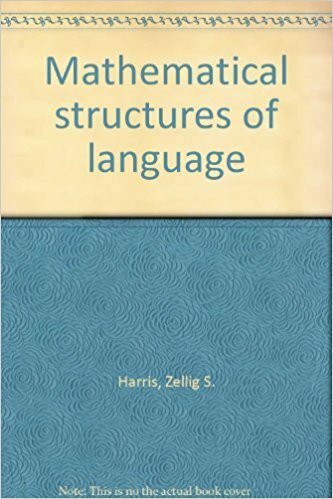 Mathematical Structures of Language Harris, Zellig S.